There’s no better way to experience the diverse beauty of Virginia than by enjoying our state’s beautiful hiking trails that lead to extraordinary places. The following trails range in topography, difficulty, and views, so there should be a little something for everyone. The spectacular views you’ll gain at the end is merely the icing on the cake, because each trail itself is unique. 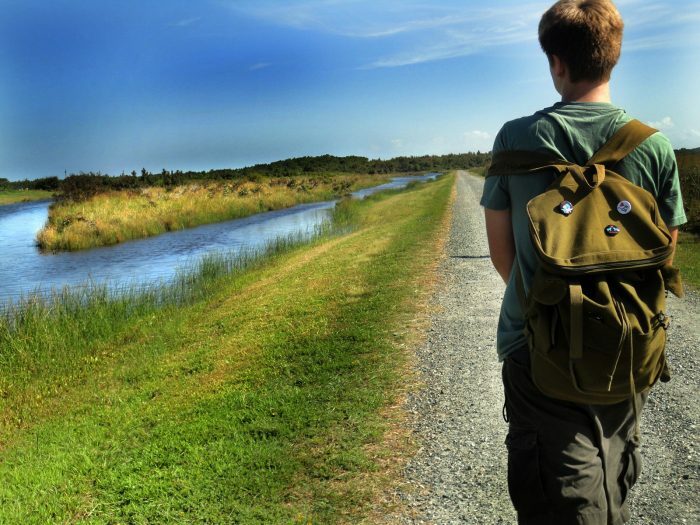 Lace up those hiking boots and don’t forget to pack plenty of water. Enjoy the views! 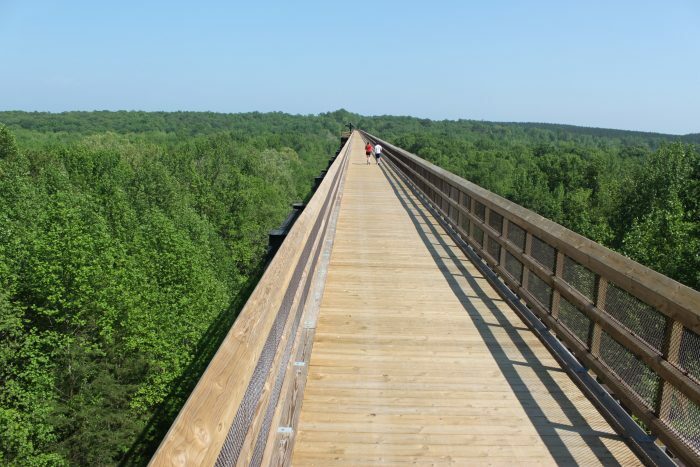 Located just outside of Farmville, High Bridge Trail is one of the most unique spots for hiking and biking alike. You might even spot a horse or two on this shared trail. 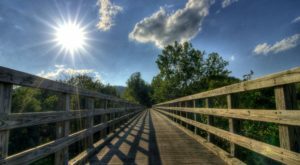 The rail-trail (previously the South Side railroad) bridge spans 125-feet over the Appomattox, providing incredible views of the surrounding land. The trail is 31 miles long, with several access points for those who just want to experience the bridge. 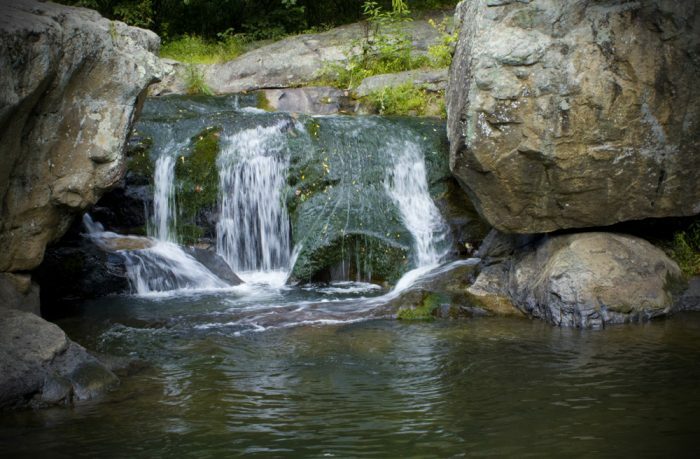 You'll find Panther Falls alongside the Pedlar River in George Washington National Forest. This trail is only a mile and leads to the gorgeous Panther Falls waterfall. This area is named for the animals that used to roam the forest, although these mountain lions are largely considered to be extinct in the state. Panther Falls is also a great swimming hole for summer days that are especially toasty. 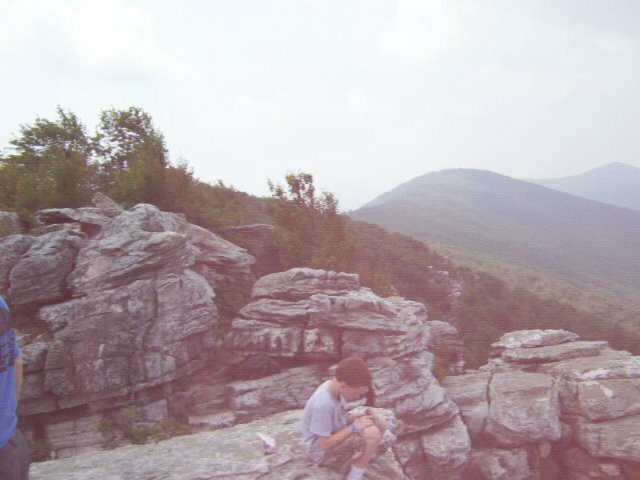 Humpback Rocks is another short n' sweet hike, although it's hardly a stroll. This trail takes you straight up the mountain (accessed by the Skyline Drive in the Blue Ridge Parkway) and the view is as breathtaking as the incline. Fortunately there are plenty of benches established along the trail if you need to take a breather. This is one of the most popular hikes along the drive, so be prepared for a busy parking area on weekends during the spring and summer. 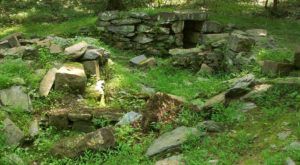 Wilson Creek Trail is a short and difficult trail that can be accessed from Grayson Highlands State Park. 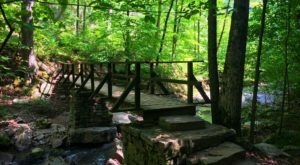 The trail wanders through wooded forests, creeks, and plenty of gorgeous waterfalls. You'll want to follow the red blazes, as there are many other trail systems in this park. The trek will be approximately 1.78 miles. 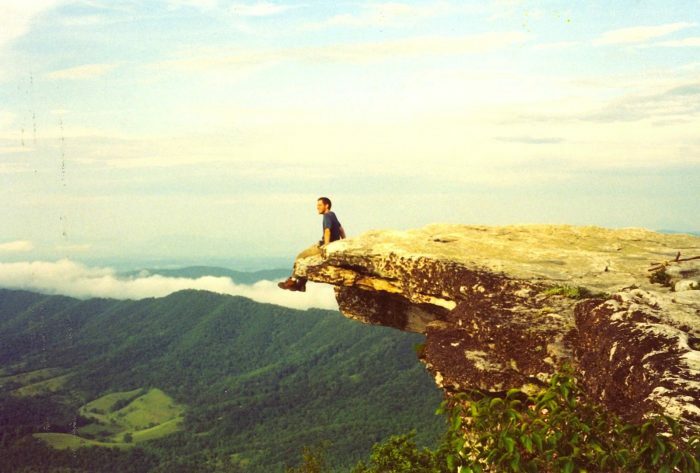 McAfee Knob presents one of the most extraordinary and iconic views of the entire state. 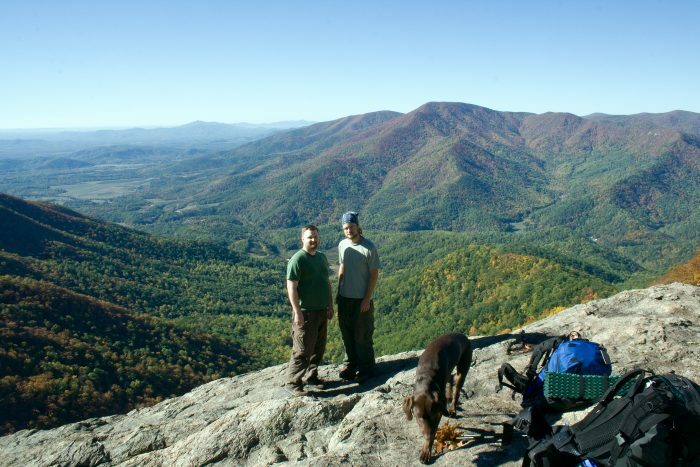 The view from the Knob will offer you a panoramic view of the Roanoke Valley, Catawba Valley, and Tinker Cliffs. On a clear day, the southern Shenandoah Valley truly shines. Don't expect to be alone on this hike, but chances are you'll soon forget about a crowd with such incredible views. Crabtree Falls is one of the most beautiful spots in Virginia, and there's a trail that just happens to follow right alongside. 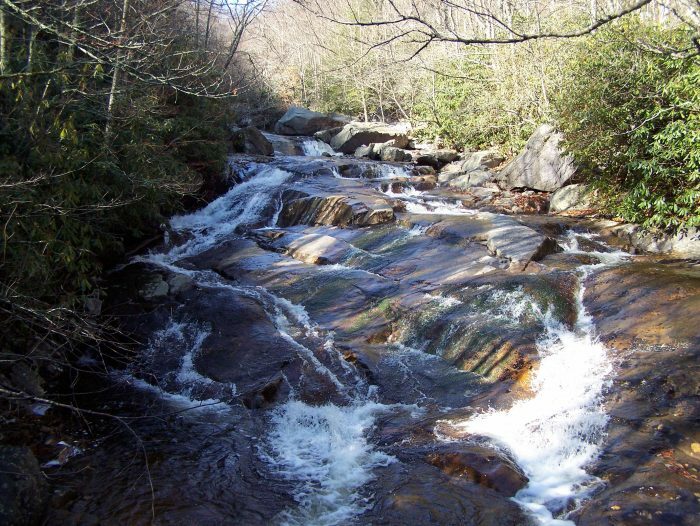 The trail provides stunning views of the waterfall and is approximately 3 miles long. What makes this hike so memorable is the chance to be up close to the largest cascading waterfall east of the Mississippi. It's important to stay on the trail here, as this place can be incredibly dangerous if you veer off the trail into the slippery rocks. 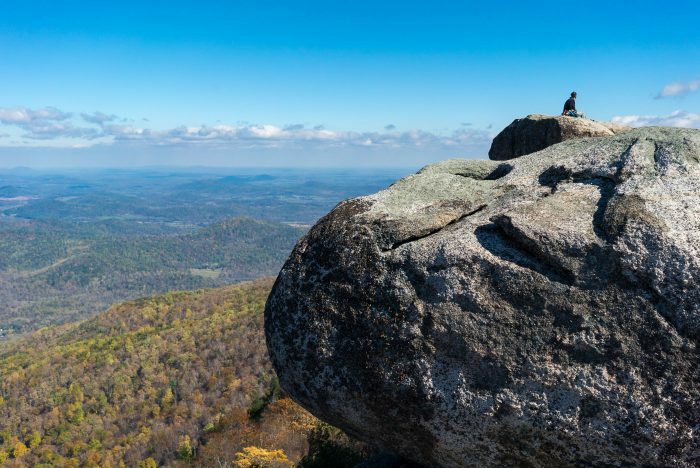 There's reason for Old Rag being one of the most popular hikes in Virginia: it's fantastic. The trail includes difficult rock scrambles and plenty of climbing, but the ultimate view is out of this world. The hike is a loop and can be taken either clockwise or counter clockwise, depending on whether or not you want to face the rock scramble on the incline or descent. The hike is approximately 5 1/2 miles. 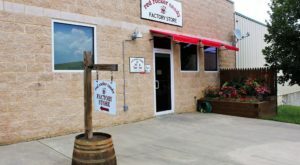 Nelson County's Three Ridges hike is a 13.2 mile loop, so if you plan on attempting the whole thing in one day, be sure to start early and pack plenty of food and water. 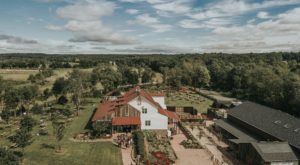 You'll encounter gorgeous panoramic views of the Shenandoah valley and peaceful mountain streams. 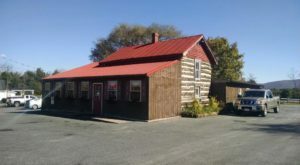 There are also great campsites for those that wish to turn this into an overnight trip. 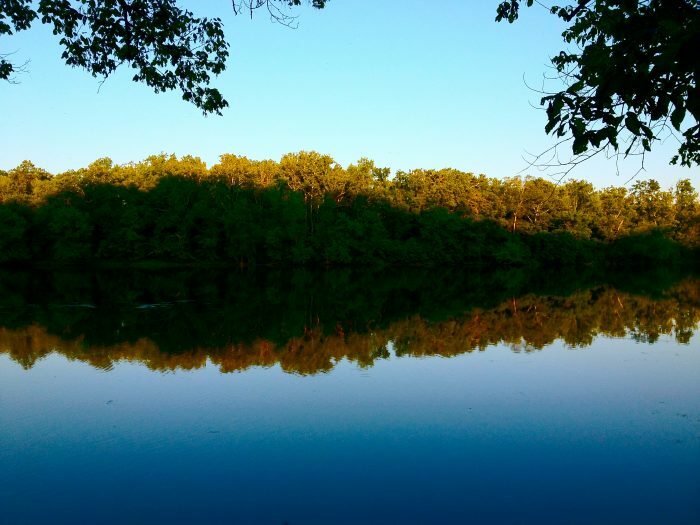 Hiking next to the lovely Potomac River makes this stretch especially memorable. This hike begins at Riverbend Park's visitors center and winds its way to Mather Gorge in Great Falls Park. This out-and-back trail is a total of 4 miles, and the incredible views consist of all the different forms the river takes in this short stretch. 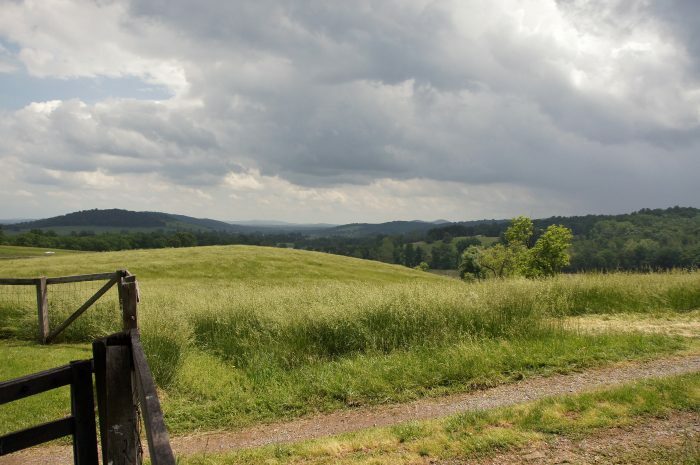 The trail at Sky Meadows State Park is a 4-mile loop that will lead to a breathtaking view of the valley, known as the Piedmont Valley Overlook. The park has 17 miles of trails total, so visitors can choose their difficulty. Another additional benefit of the hike is the proximity to Bluemont Vineyards. False Cape State Park has a total of 7.5 miles of hiking and exploring options. 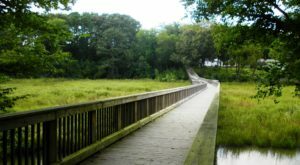 This gem of a State Park is found on Virginia's Eastern Shore, and provides wonderful views of the water. The Sand Ridge Trail is the longest in the park -- a total of 6.2 miles -- that offers some incredible lookouts. The other trails in the park can be accessed by this trail as well. Hikers should be on the lookout (but never interact with) the wildlife out there, including wild ponies, foxes, and several species of birds. 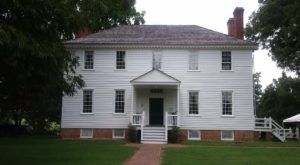 Big Schloss can also be found in northern Virginia, and was named by German immigrants. Technically, the trailhead is in West Virginia; however, most of the peak is in Virginia and so we are proudly claiming it. 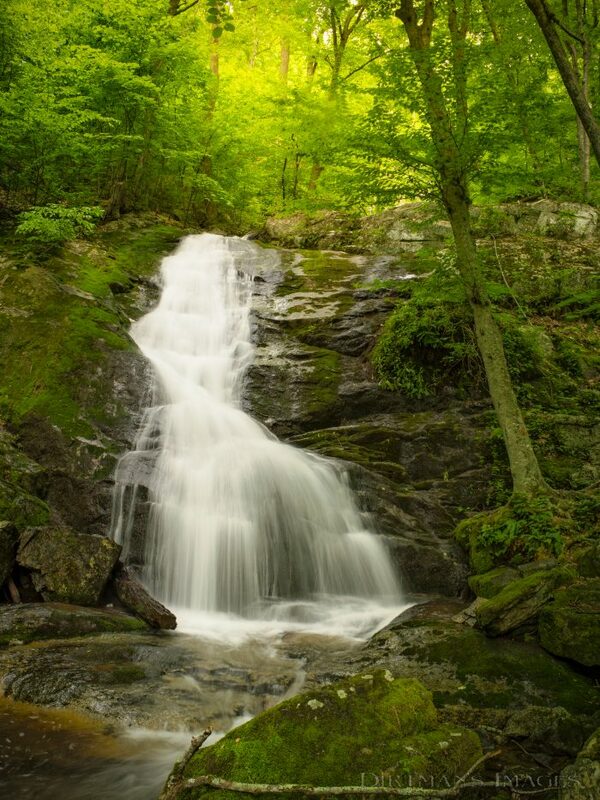 Tucked away in the George Washington forest, the hike offers exquisite views. If ever there was an ideal picnic spot, the Big Schloss rock outcropping is it. The terrain is relatively easy, lasting a little over 4 miles and gaining a gradual 1,000 foot elevation. The final portion of the hike is a wooden trail that will lead you to the spectacular finale. 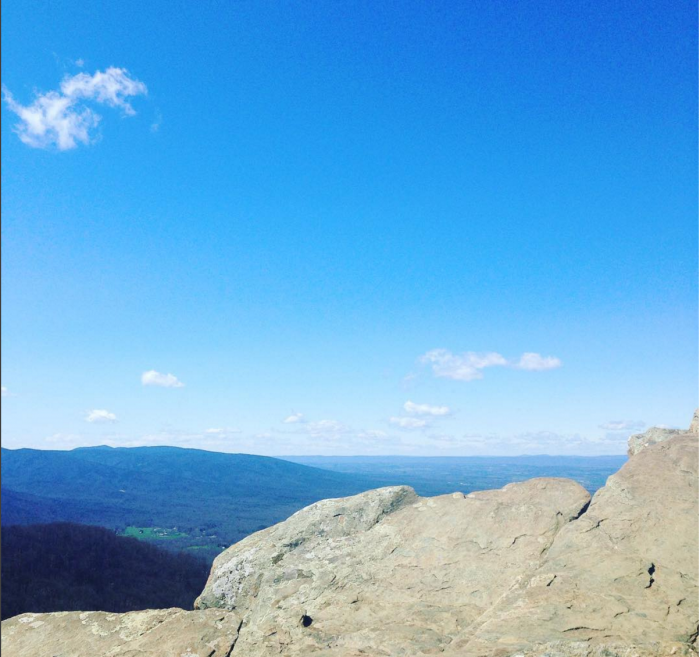 Which trails do you explore to see some of the best views in Virginia? We’d love to hear from you!